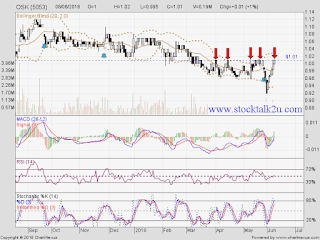 OSK (5053) retest strong resistance RM1.01 level. Subsequent resistance @ RM1.06 level. 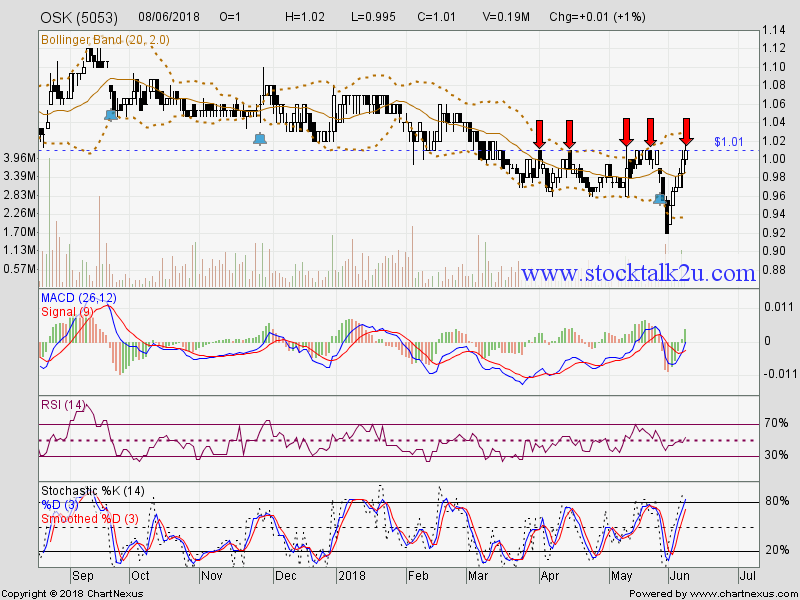 Immediate support @ RM0.92 level. If break the support, lower low is confirm. Downtrend will resume.